Many of our projects are off the electrical grid. 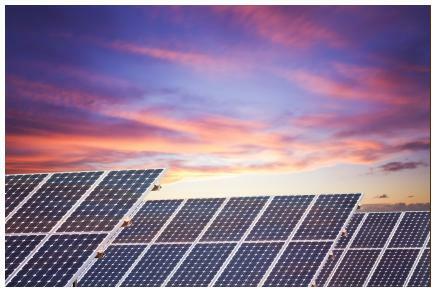 Solar energy provides some of our electrical, heating, cooling and cooking needs. Solar energy is only marginally cost efficient when an electrical grid is available and very close, but in the absence of a grid or close proximity to the grid, solar makes good economic sense. We purchase solar panels, assemble them into solar arrays and get electricity that way.There is a better way for us to do this. The people we work with need, not only electricity, but jobs that will allow them to be able to purchase their own energy and, of course, their own health care. We are planning to pay local workers to assemble solar cells into panels, assemble solar trackers and package solar systems. Once local needs are met, it will be possible to sell the solar panels to others who need them, in and outside of Africa. This will bring currency home into the local market, and will provide sustainable employment for the forseeable future. The need for energy in Africa will increase; the cost of solar photovoltaic power will decrease in the future. Off and on grid uses are possible, especially as on grid electricity is not reliable in Africa, making solar panel fabrication a long term business prospect for local Africans. We are teaching locals to use solar powered infrared ovens and induction cookers for cooking. This will increase home air quality and reduce deforestation, as the people currently cut down trees to burn as firewood and to produce charcoal. The use of solar energy reduces the need for women and children to spend much of their day looking for fuel for cooking. We are training locals to provide distribution and maintenance of solar systems.